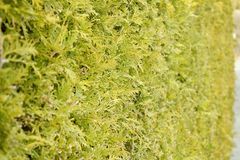 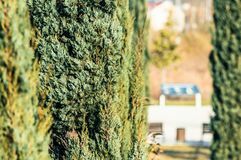 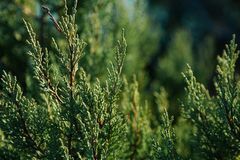 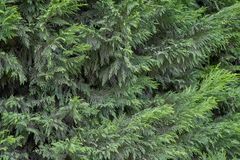 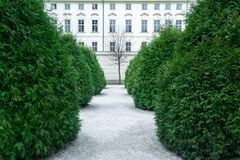 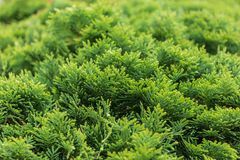 Green thuja bush. 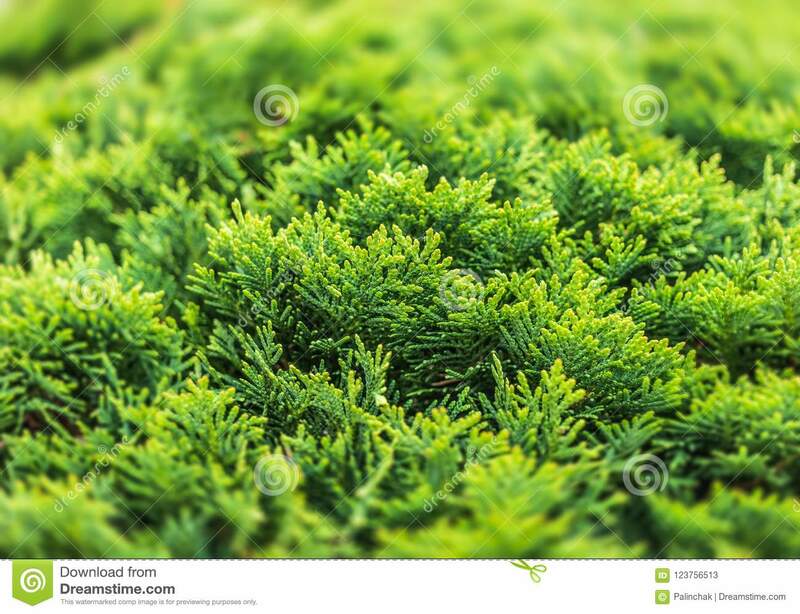 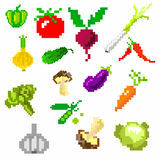 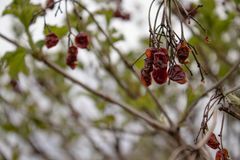 Decoration, evergreen. 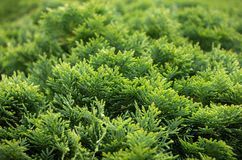 Green thuja bush. 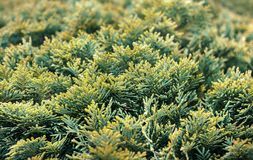 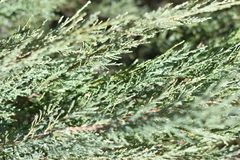 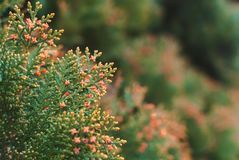 Close up of a branch of thuja tree.